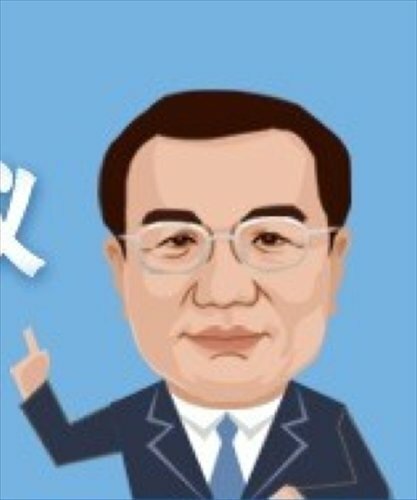 A cartoon image of Chinese Premier Li Keqiang in an infographic, which was published on the central government's website on Wednesday, has gone viral on the Internet. The infographic, produced jointly by the central government website and Xinhua News Agency, depicted the routine work meeting of the State Council held on Wednesday that was presided over by Li. He wears a pair of glasses, a deep blue suit and light blue tie in the cartoon. It is the first time that an official media outlet published his image as a cartoon, one week after President Xi Jinping's cartoon image went viral. Zhu Lijia, director of Public Administration Studies at the Chinese Academy of Governance, said such cartoon images demystify the leadership.